JOURNEYS THROUGH TIME: Season's Greetings! Just stopping by to wish all my blog Followers a very Happy, Healthy Christmas and may 2012 be your best year ever! Thank you all for your lovely comments and encouragement to keep posting, I promise my old keyboard will be hopping once again in the New Year. 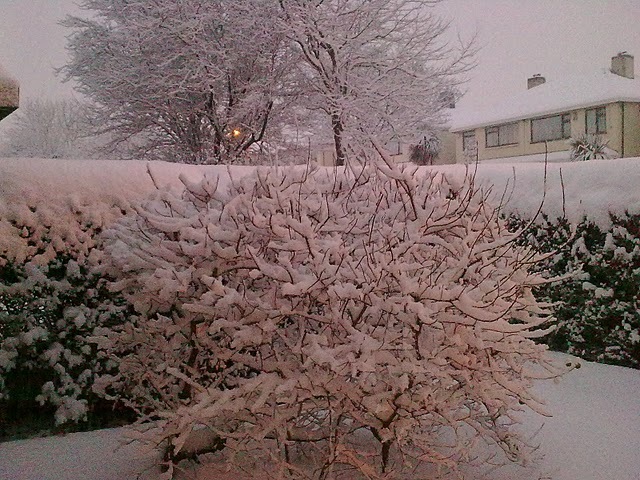 Above Image: Our front garden last December.